Great things come to those who provide great user experiences. And if you're providing video playbacks, nothing's better than YouTube. Param Aggarwal has shared it's wrapper component for the official YouTube-Player-iOS-Helper. 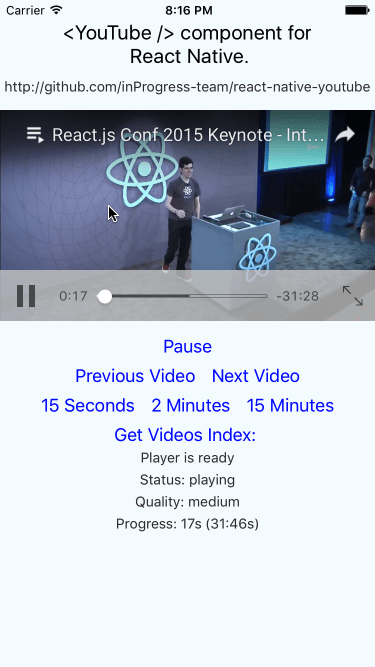 A YouTube component for React Native.